The bright yellow flowers of Tansy Ragwort (Senecio jacobaea) may provide a striking view, but don’t let the looks fool you. This invasive weed is deadly to many grazing animals. Tansy ragwort contains alkaloids that are lethal to most livestock, with death occurring after consuming 3-8% of body weight. As such, it is very important for landowners across Clackamas County to control this invasive weed, especially near grazing animals or in areas where hay is produced. Tansy ragwort has a long history in Clackamas County. It was once regulated under the weed control district formed in 1949. 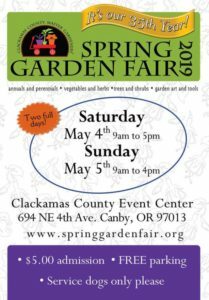 At that time, landowners across Clackamas County could be cited for having flowering plants on their property. Back then, neighbors would come together for community tansy pulls to keep their horses and livestock safe and to avoid the dreaded visit from the weed inspector. In the 1960s, several insects were introduced as biological controls to reduce the abundance of Tansy ragwort. These insects feed on the plants and weaken or kill the Tansy ragwort. The most recognizable of these is the crimson red Cinnabar moth, that feeds on the flowering plants as a caterpillar during the summer months. The introduction of these insects have proven to be effective at reducing Tansy ragwort to relatively low levels. 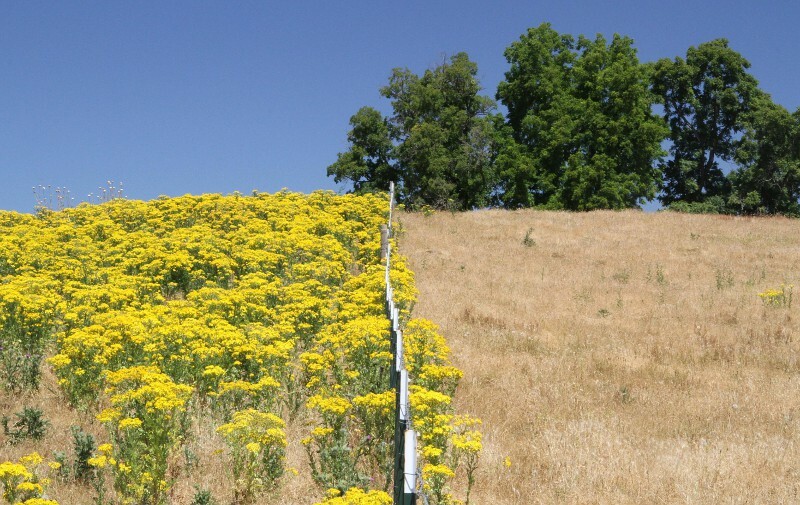 With the reduction of Tansy ragwort, Clackamas County dissolved the Weed Control District in 1989 citing the effectiveness of the biological controls as well as budget constraints as the chief reasons for its dissolution. In the 23 years since the Weed Control District was dissolved, Tansy ragwort has continued to persist in Clackamas County, but fortunately at much lower levels than those encountered in previous generations. The biological controls introduced in the 1960s are still working on our behalf! Even with widespread biological controls, we do have periodic increases in Tansy ragwort abundance. In these years we need landowners to take the initative to control Tansy ragwort on thier property. So join your neighbors and take action now! Survey your property and control your Tansy ragwort before it begins to flower. Tansy ragwort is manageable. If you have a lot of Tansy ragwort plants and are feeling overwhelmed, focus first on areas where grazing animals are present or along fence lines to help your neighborly relations. 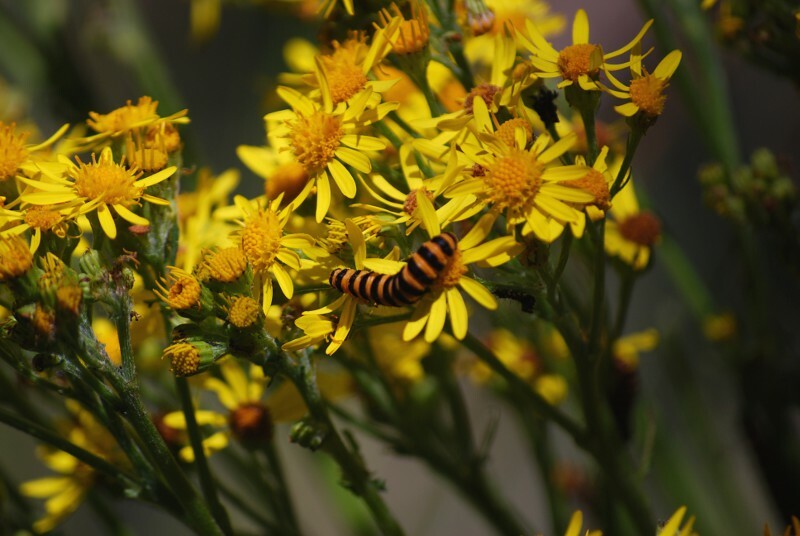 Then visit our Tansy Ragwort Best Management Practices page for more information about how you can control Tansy ragwort on your property. Don’t let Tansy ragwort poison your livestock, or your relationship with your neighbors. Do the neighborly thing and control your Tansy ragwort. Check out the WeedWise Program’s Tansy Ragwort brochure today!